The ultimate Iron Man fantasy in VR! Announced at the first ever PlayStation State of Play, the ultimate Armored Avenger experience, Marvel's Iron Man VR, is hitting PlayStation VR exclusively this year, thanks to Marvel Games, Sony Interactive Entertainment, and Camouflaj! 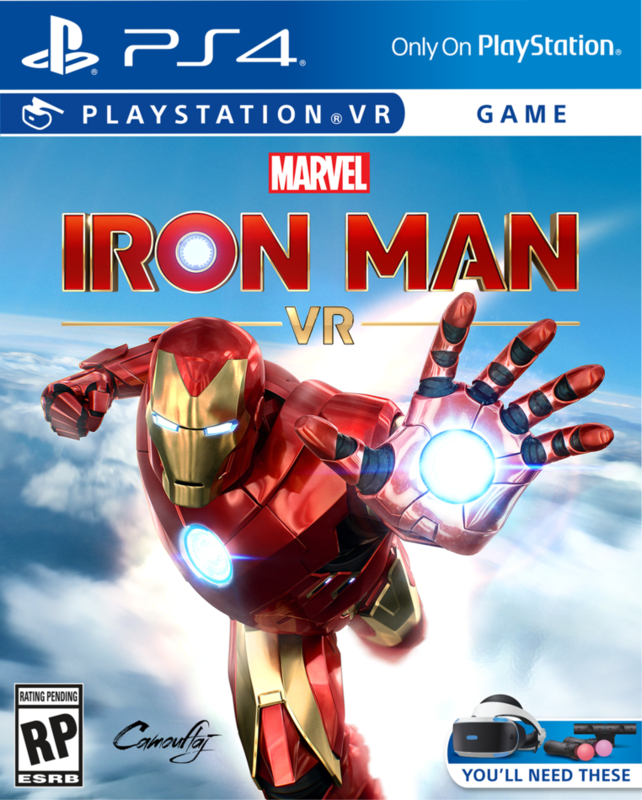 In "Marvel’s Iron Man VR," the player, who plays as the genius inventor Tony Stark, confronts ghosts from his past—powerful forces who seek to ruin him and everything he stands for. By fully embracing the magic of PlayStation VR, players will come face-to-face with iconic allies and Super Villains as they jet around the globe on a heroic mission to save not only Stark Industries, but the world itself. Seen in the announce trailer above, legendary Marvel illustrator and costume designer Adi Granov envisioned the Impulse Armor, a brand new armor for Iron Man which, like game itself, provides a sleek and modern twist to Tony's classic comic book designs. Developed over the past two years, Camouflaj, with Sony Interactive Entertainment and Marvel Games, leveraged the strengths of VR to make the gameplay including flying, shooting, and action feel naturally on the PlayStation VR platform. "We’ve set our sights on not only giving the player thrilling moment-to-moment action," revealed Camouflaj director Ryan Payton on the PlayStation Blog. "But also a deeply personal, and appropriately funny, narrative that puts players in Tony Stark’s armored shoes." Payton referenced his first Marvel comic, IRON MAN #290, and the entire "Demon in a Bottle" story arc as the storyline that drew him to the fun nature and complexities of Stark—of the man behind the armor. Until next time, back to the garage!